Amazon has issued a new version of its desktop Kindle app today, just for the Japanese market. 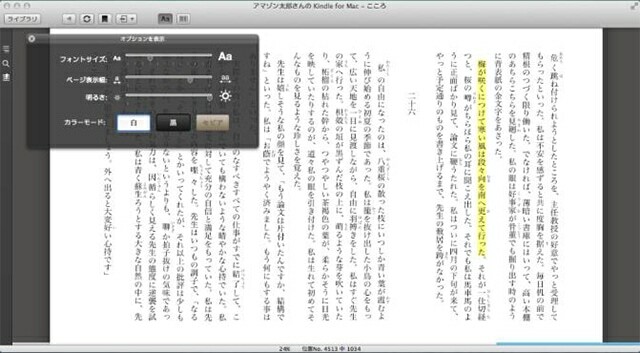 Mac users in Japan can now enjoy Kindle ebooks on their PC, just so long as it's running OSX 10.9.5 or above. Launched about a month after the related Windows app, Kindle for OSX supports vertical text and features font size and background color customization, dictionary lookup, search, and a zoom option for comics and magazines. The app ties into a readers existing Kindle account, and will sync their reading position and annotations across their account. You can download the app from the Amazon.co.jp website.